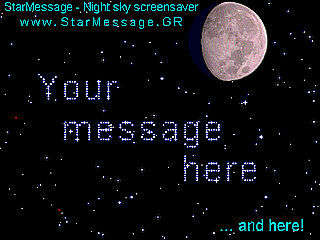 StarMessage v 3.073 animated screensaver shows the current moon phase, inside a realistic presentation of a starry sky. The program notifies you about the next full moon date and full moon name. You may leave a series of short messages on screen, and the stars will move around to form your messages. 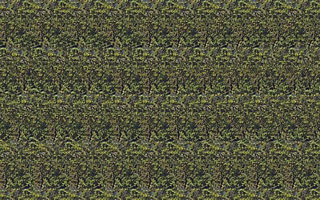 This is a Michael Ioannides from screensaver-download.com creation.